A prolific crook ended up in hospital with a smashed pelvis after he stole a motorbike and crashed into a tree, a court heard. Wesley Andrews (39), who had come out of jail just three weeks before and was on licence, was out of action for six weeks after he wrote off the bike. He had stolen it from Nelson on a two-day crime spree aimed at making cash. Police had to wait for Andrews to get back on his feet before they could question him, at which point he owned up. Burnley magistrates were told how Andrews had been out breaking the law again when he had been "desperate," as he had no home or money and had been "living hand to mouth". The defendant had also helped himself to a £5,000 Citroen from Burnley and stole a wallet containing bank cards and a prayer book. Andrews, who has been recalled to custody, was given a 12-week jail term. He was disqualified from driving for a year and must pay a £115 victim surcharge. 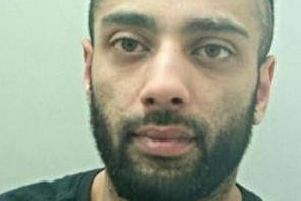 The defendant, from Burnley, but of no fixed address, admitted aggravated vehicle taking on August 24, theft of the car, belonging to Paul Hanson, overnight on August 23 and stealing the £50 wallet and contents from Khalid Hussain overnight on August 22nd. Bench chairman Mr Stephen Riley told Andrews: "Custody is our only option because you are subject to recall and because of your lengthy record." Prosecutor Mrs Alex Mann told the hearing the car was driven off from Oakwood Close. It was recovered the next day following CCTV, after fuel receipts led police to the defendant. Andrews had a record for car crime. Last year, he asked for 35 offences to be considered after admitting one theft. He had been convicted of vehicle theft in June and had been locked up. Mr Ben Leech (defending) said: "He broke his pelvis, both front and back and spent around six weeks in hospital as a result. He had nowhere suitable to be released from hospital to." The solicitor continued: "The police had been aware of his whereabouts for quite some time, They were waiting for him to get back on his feet before they interviewed him about these matters. When they did so, he made full admissions, apologised and explained to some degree his desperation following his release from custody on August 1st." Mr Leech said the defendant had had nowhere to live. He went on: "He was without an address, without a roof over his head and without a benefits claim. He turned to crime to get himself a bond for private rented accommodation. He has been living hand to mouth." The solicitor added: "He understands he will go back to custody today."